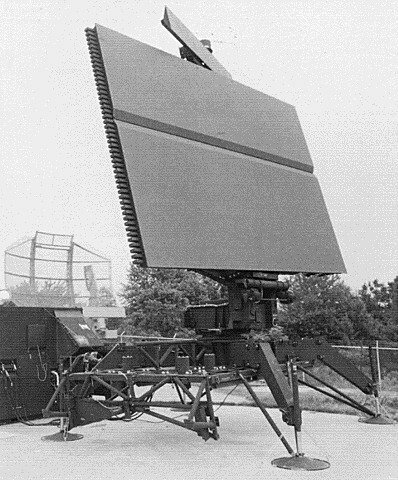 The AN/TPS-75 represents the latest USAF inventory ground-based tactical air defence radar. This system is an upgrade of the AN/TPS-43/70 family of radars with significantly better electronic protection measures, increased performance, and enhanced reliability and maintainability. It employs the Ultra-Low Sidelobe Antenna (ULSA) which decreases sidelobe emission by more than 50 per cent and considerably reduces vulnerability to anti-radiation missiles. The radar uses Barker Phase Coded pulses to increase range accuracy and resolution. Pulse-to-pulse frequency diversity is used to decrease vulnerability to jamming (JATS). This TPS-43E upgrade is one of three projects in the USAF Seek Screen programme which will provide the USAF with viable surveillance and command, control and communications capability well into the 21st century.